Before you tow any vehicle, whether it be a large caravan, trailer or horsebox there are many things that you should do to ensure that both you, your passengers and any pedestrians remain safe. Towing is the process of attaching one particular vehicle to another and transporting it to a new location. Those that tow vehicles correctly are the people that we never hear about. However, the guys that are highlighted in the media are obviously doing something wrong. Towing any vehicle safely requires a lot of discipline and patience as many steps should be taken to ensure that the trailer is secure. For additional information relating to towing vehicles, you can visit the government website or the National Trailer and Towing Association (NTTA). 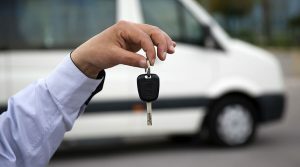 Before you tow a vehicle, you need to make sure that you are eligible to do so. Certain trailers have specific weight limits, and in some cases, you will require a specific category on your driving licence. You can see which driving class you need here. Once you have confirmed that you are eligible to drive and tow a trailer, it’s worth learning how to attach and detach your trailer. Make sure that you are fully comfortable before you make long haul journeys. 1. Consider the weight distribution. Is it even? 2. Are your items secured? Will they move under heavy braking? 3. Are all of your items evenly distributed, preventing smaller items from moving in the slipstream? Whenever you tow, you need to make sure that your items are fully secured using industry approved restraints. Ensure that your trailer is safely balanced, distribute the weight evenly on the trailer and avoid loading all of the heavier items in the same position. Safety is key, and the difference in getting it right and wrong could be fatal. Before you begin, your journey consider these safety checks. 1. Is the trailer level? 2. Are all of the items secured using the correct restraints? 3. Is the jock wheel secure? 4. Are all of the lights working? 5. Is the correct plate fitted? Correct registration and style? 6. Tyre pressure checked and double checked? Before you tow a vehicle, you must have the proper category on your driving licence. Without it, you will be breaking the law and could find yourself in a lot of trouble. Ensure that you are familiar with the attaching and detaching procedures for your trailer. 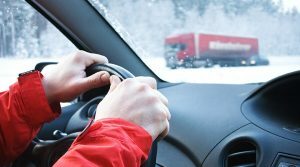 If need be, consider some towing lessons before travel. Are you completely aware of the trailer driving and loading best practices? Go through all of them, and look for additional information on the government website. Make all of the required safety checks. Once you have checked, double and triple check to ensure that the trailer is fit for travel.